Custom wallet case for your Samsung Galaxy S9 Plus. Combining style and protection in the best possible way. Create a totally unique custom Galaxy S9 Plus case. If you are among those who always look for convenient solutions without compromising your style, you have come to the right place. 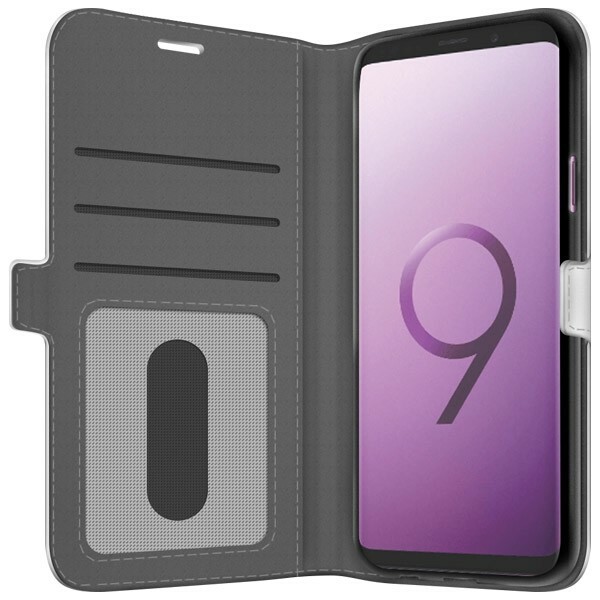 At GoCustomized, we offer a custom Galaxy S9 Plus case with which you can store your cards, cash and cell phone in the same place. Say goodbye to carrying lots of different items with you, this custom wallet case is the perfect all-in-one solution. 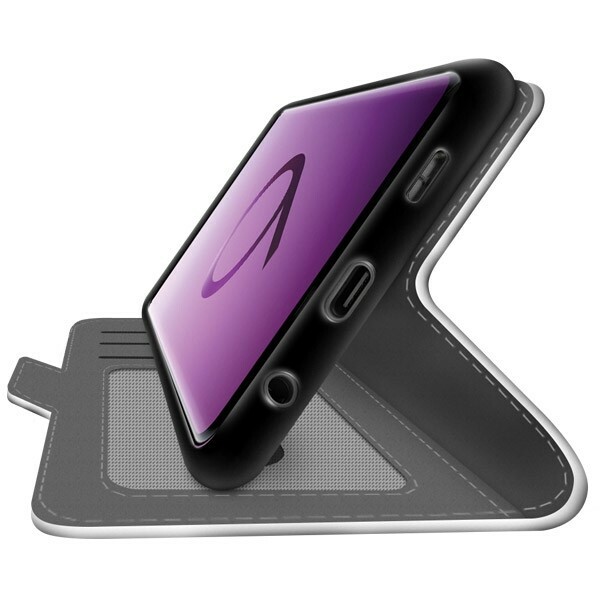 When you open it, you will find slots so that you can safely store your cards, ID, and your cell on the other side. On top, this custom Galaxy S9 Plus case offers the best protection for your smartphone together with a unique design that you can create yourself. Choose your custom phone case and your phone will be protected in the most stylish way! How do I design my custom Galaxy S9 Plus case? Designing your custom wallet case is incredibly easy so that it will only take you a few minutes. Once you have picked your case type, it will be ready in only four steps. First, choose your favorite design or pictures which you can then upload from your device as well as a social media account. After uploading it to the design tool, you can adjust its size to ensure your custom Galaxy S9 Plus case looks exactly like you want it to. Furthermore, you can apply a filter or add a text or special date. Before you add your custom wallet case to your shopping cart, you should double-check if everything looks correct. What happens after placing an order? Once you have designed your custom Galaxy S9 Plus case, our production team will start producing your order. At GoCustomized, we offer durable, high-quality products which will protect your smartphone well. We use scratch resistant ink to print your design so that you can also always put your new case in a bag without being afraid of damaging it. What are you waiting for? Order your own custom phone case now! If you have any questions or suggestions for us, just send an email to support@gocustomized.com. We are always happy to help!